Bf Bot Manager and BQ Bot Manager are automated betting bots published by Sodens Limited, it is software used for automated betting and trading at Betfair and Betdaq betting exchanges. 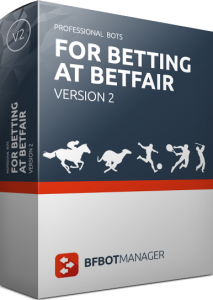 Software was reviewed and approved by Betfair and Betdaq security teams. It is designed to save you time and maximize your potential when betting and trading at Betfair and Betdaq betting exchange. Bots are automated programs that can run for days unattended. You set stake, time of bet, price ranges, staking plan and other specific settings for your betting strategy and you start bot. Bot will run for days, auto load markets and bet only when all your conditions are satisfied. Bots will save you time and money. There is no need to spend time in front of computer and place bets manually and do all the calculations, now you can set bot to do all that work for you. And what is best is that you can test your strategy in simulation mode without risking any money! What can bot do that human cannot? Well, bots can do thousands of calculations within a second and place several bets at same time. Hedge, trade out within a second after price changes. And not just that, bots are not affected by your emotions, they stricly follow your settings and execute only when all settings are satisfied. 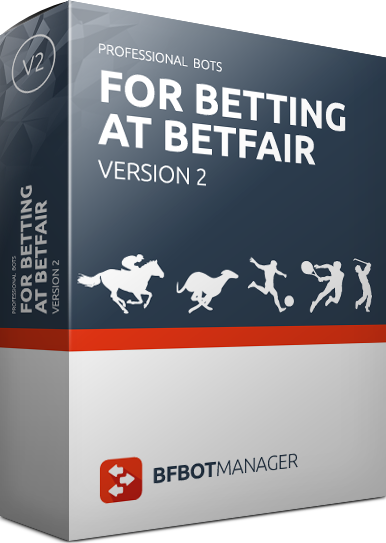 There are two versions of software that Sodens Limited provides, those are Bf Bot Manager V2 for Betfair and BQ Bot Manager for Betdaq betting exchange. Both versions are almost the same, only difference is that version for Betfair has optional add-on bots. Both version have many advanced features that can help you adjust one of bots to work fully automatically by your needs. Each version comes with 3 automated betting bots and ladder control for manual trading or betting. Beside the main package there are also add-ons like Soccer bot, Multiple Strategies bot and Bf Notes. Sodens Limited also allows you to order a custom bot or new software that will be only for your private use. Custom bots do not have any limits and they are made exactly by your betting strategy. Custom bots are private and only for user personal use. Beside custom bots Sodens Limited also does all software and web site development work. Software is sold on a one-time fee basis and license is valid for life for a single Betfair/Betdaq account. Add-ons are sold separately and they are all sold on one-time fee basis except Multiple Strategies bot that is subscription based. Free 5 day trial is available for all their products.